Even as one thought the writ petition challenging Justice J.S.Khehar’s appointment as the CJI has become infructuous with his swearing-in on January 4, the Supreme Court bench of Justices R.K.Agrawal and D.Y.Chandrachud, has released its detailed order on it, 20 days after it was heard during the Christmas vacation. The petition, filed by the National Lawyers’ Campaign for Judicial Transparency and Reforms, had questioned Justice Khehar’s appointment as the CJI on the ground of conflict of interests. The petitioner drew the attention of the Court to his lead judgment in the NJAC case in October 2015, in which he had restored the Collegium system of appointing Judges, and quashed the NJAC Act, establishing NJAC, to replace the Collegium. The petitioner, even while expressing full confidence on Justice Khehar’s integrity, pleaded that Justice Jasti Chelameswar, who had given the dissenting opinion in the NJAC case, must be elevated as the CJI. On the question of conflict of interests because of Justice Khehar’s lead judgment in the NJAC case, the bench, through Justice Agrawal, has held that the judgment was delivered individually by all the Hon’ble Judges constituting the Constitution Bench and the case was decided by a majority of four Hon’ble Judges and not by His Lordship (Justice Khehar) alone. Similarly, the bench observed that the Collegium not only consists of the CJI, but four other senior Judges as well, and it cannot be said that the CJI can usurp the power of appointing the Judges for himself. As to the correctness of the NJAC judgment, the bench held that the petitioners have the remedy of filing a review and curative petitions, if they are aggrieved. 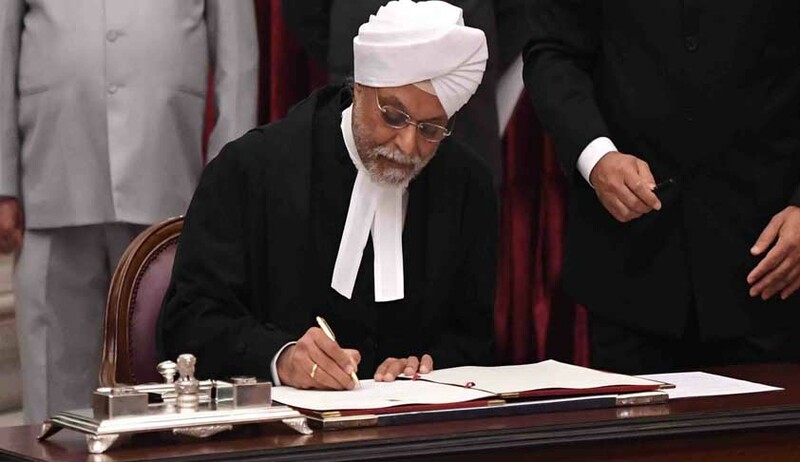 Justice Chandrachud, in his concurring judgment, has held that Justice Khehar’s appointment as the CJI follows a recognised constitutional convention (duly acknowledged and reiterated in the Memorandum of Procedure) of the senior-most Judge of the Supreme Court being appointed to the office of the CJI. “It is preposterous to urge that the senior-most puisne Judge of the Supreme Court is disqualified for appointment as CJI on the basis of a perception formed by a litigant of a judgment delivered by a Judge”, he has held.